24 players in the last 52 years got as high as 70 percent without getting inducted, including Martinez. All 24 are now in Cooperstown. 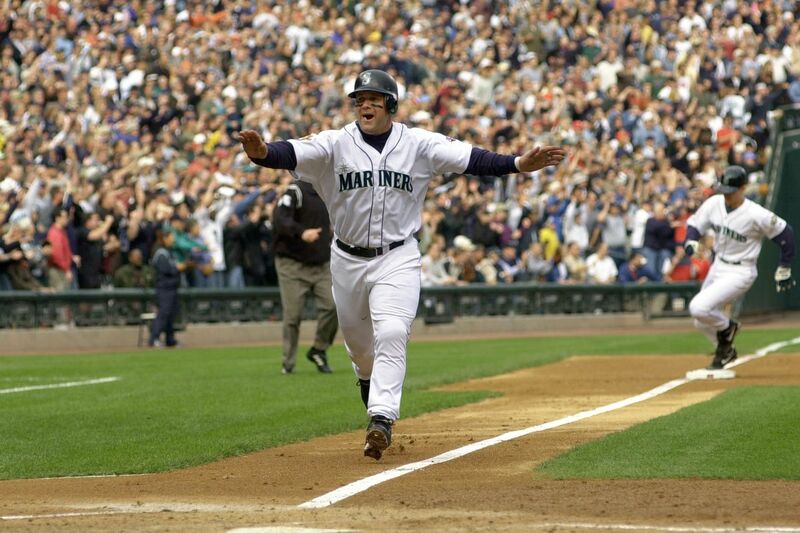 Edgar Martinez in his final season on the Baseball Writers Association of America ballot was elected to the National Baseball Hall of Fame. He fell just short in 2018, but reached a point that historical precedent suggested the longtime Seattle Mariners designated hitter was bound for Cooperstown. Martinez was named on 85.4% of Hall of Fame ballots, up from 70.4% last year, making it to Cooperstown in his 10th and final year on the BBWAA ballot. in 1966 restored annual elections for Cooperstown induction, a practice that continues to the present. In the 53 years since, 23 different players before Martinez received at least 70 percent of the vote without reaching the 75 percent required for induction. Of those 23 players, three were on their final ballot — Red Ruffing in 1967, Nellie Fox in 1985, and Orlando Cepeda in 1994 were all in their 15th year; the limit now is 10 years — and that trio eventually made it to Cooperstown. Fox (1997) and Cepeda (1999) were voted in by the Veteran’s Committee, while Ruffing was inducted by a runoff vote in 1967, a since-discarded practice used in years when nobody reached 75 percent of the vote. That leaves 20 players who, like Martinez, received 70 percent of the vote without getting to 75 percent, and 19 were voted into the Hall of Fame the very next year. The only exception was Jim Bunning, who reached 70 percent in 1987 and then 74.2 percent in 1988, just four votes shy of induction. Bunning still had three more years on the ballot but never got that final push by the BBWAA. He received 63.7 percent in 1991, his 15th and final year on the ballot, then had to wait until 1996 to be voted in by the Veteran’s Committee. Martinez didn’t have the luxury of any more years on the ballot after 2019. This was his 10th and final try with the BBWAA. He fell just 20 votes shy of induction last year, which sounds like a lot, but there were 422 total ballots submitted. Voters have until Dec. 31 to turn in their 2019 ballots, and based on the publicly known ballots Martinez is gaining ground. Thanks to the tireless efforts of Ryan Thibodoux and his Hall of Fame tracker, we can see that through Christmas Day and 93 known ballots, Martinez already gained nine votes over 2018. Last year Martinez was selected by 76.3 percent of voters who made their ballots public, compared to just 52.4 percent of voters who chose to remain anonymous. So far this year, through those 93 known ballots, Martinez is at 91.4 percent. The gains are real. Just three Hall of Famers have played 1,000 games at designated hitters. Paul Molitor (2004 induction) played 44 percent of his games at DH, and Frank Thomas (2014) was a DH in 56 percent of his games. Harold Baines, who was elected by the veteran’s committee in December and will be inducted this July, played 58 percent of his games at designated hitter. Martinez, who was a vastly superior hitter than Baines, was a DH in 68 percent of his games. If inducted, he would be the most designated hitter in the Hall of Fame. But that’s okay, since Martinez was better than anyone at it. Among players with at least 3,000 plate appearances as designated hitter, Martinez ranks best at the position in batting average (.314), on-base percentage (.428) and OPS (.959). He ranks second in doubles (370) and RBI (1,003) as a DH, and third in home runs at the position (243). Overall, Martinez hit .312/.418/.515 in 2,055 career games. In the modern ERA (1901-present), his .418 OBP ranks 17th all-time. The only right-handed batters ahead of Martinez are Rogers Hornsby, Jimmie Foxx and Thomas. Martinez’s is tied for 35th with a 147 OPS+, the same as Hall of Famers Mike Schmidt, Willie McCovey, Willie Stargell and Jim Thome. The Hall of Fame class of 2019 will be inducted on Sunday, July 21 in Cooperstown.